You have seen me wear some Brianne's beautiful pieces in lookbook posts. (Such as here or here.) 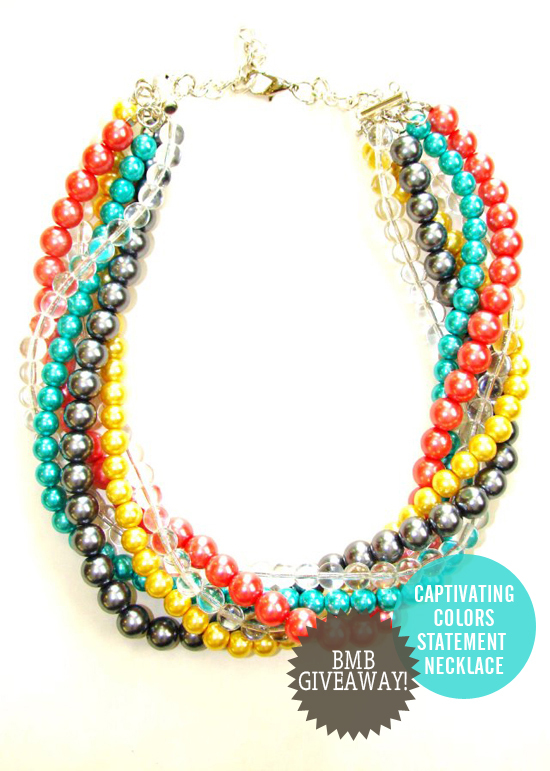 Today, Be More Beautiful is generously offering to give the Captivating Colors Statement Necklace to one lucky girl. Its my personal favorite from her spring line. Head on over to the IHOD facebook page to see how you can EASILY win this beauty! And the winner from the Poshlocket giveaway.....#13 - Annie! Congratulations chica! Stop it! I won?! ?1 I never win anything!!! I'm so excited!! Wow, this is so stunning! It spells SUMMER! Hugs for a happy day! I liked IHOD's facebook page @Micaela Staheli. 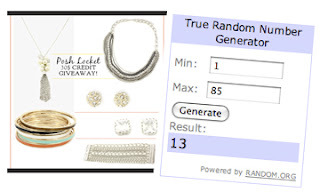 Oh wow, that necklace is GORGEOUS!